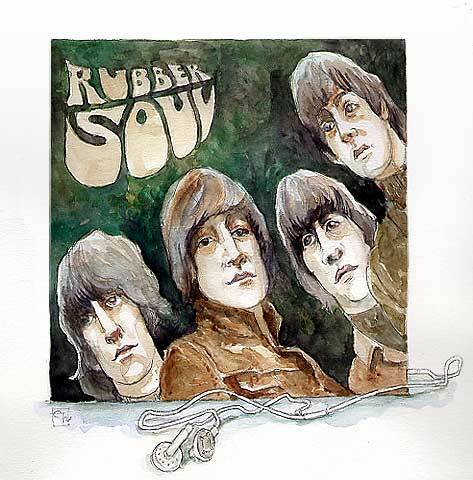 My favorite album of all time: Rubber Soul. I prefer the American version, which some critics (and I!) think is superior to the British release. FEEDBACK TIME: While this was incredibly fun to paint, it's hard to get four people to look like they're supposed to, especially when the album photo is distorted. So: I invite you to tell me something in particular I could fix on any particular Beatle. And you also have to tell me one thing you like about the painting or that I did right. Or just tell me how much you like the Beatles.